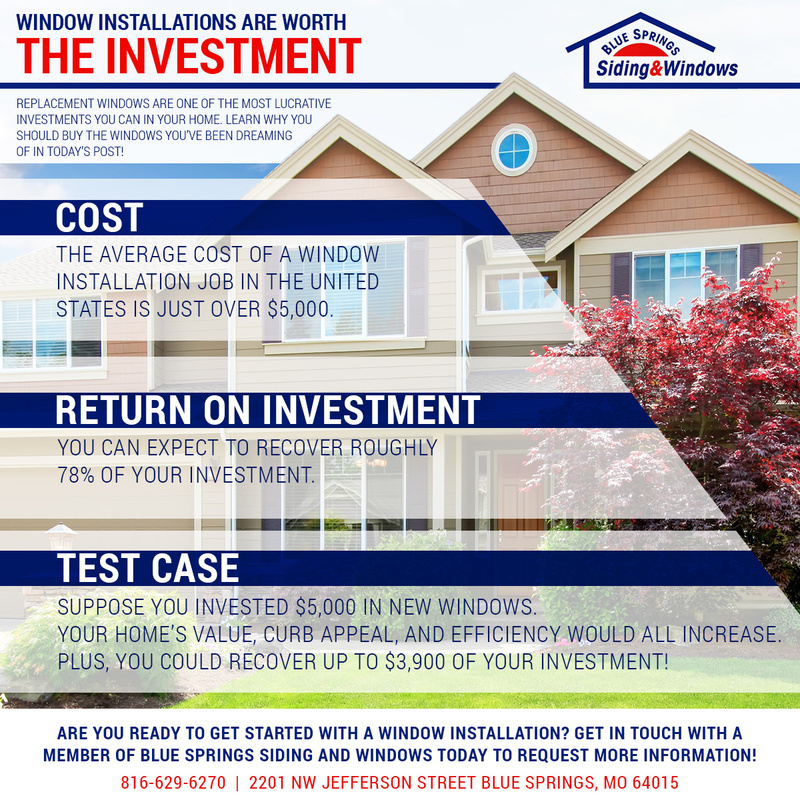 Window Installation Kansas City: Window Installations Are Worth the Investment! Have you ever wondered if windows are a good investment? If so, then you’ve come to the right place! In today’s post, we’ll explain why new windows are an excellent investment. We provided you with some of the most recent data pertaining to the costs of new windows in a previous post, so be sure to catch up on that information if you haven’t read it yet. Blue Springs Siding and Windows is your go-to resource for window installations in Kansas City and the surrounding areas. If you’re ready to get started, then come by our showroom or fill out the form at the bottom of this page to get started! Let’s start with the basics: what do we mean when we say that windows are a good investment? Return on investment, or ROI, is frequently used by real estate professionals to gauge whether or not a project is worth taking on. 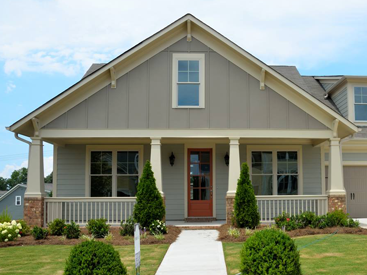 For instance, we noted in a previous post that while you could spend $8,000 on new vinyl siding, you could recoup up to 89 percent of the cost if you were to sell your home. However, it’s important to point out that although we’re talking about the monetary worth of a project in this post, some projects may be worth taking on for other, non-monetary reasons. Now that we understand what we mean when we say “return on investment,” let’s take a look at the most recent data about window installations to see if they’re really worth the money. Although kitchen renovations and other interior remodeling projects are gaining in popularity, replacement windows are one of the most consistently lucrative investments you can make in your home. 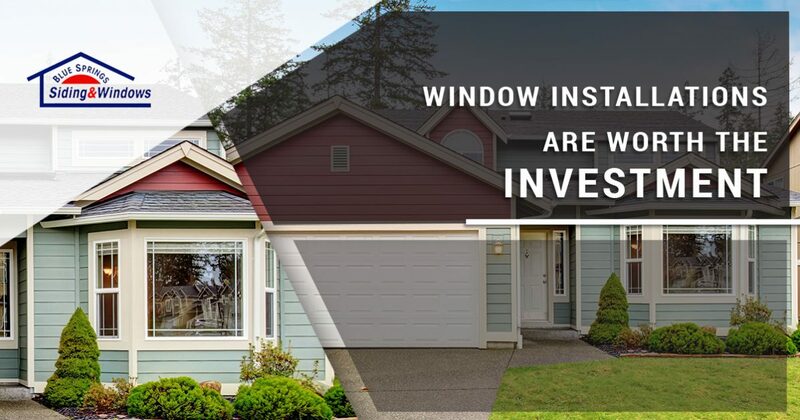 In fact, it’s been estimated by the National Association of Realtors® that high-quality window replacements can provide you a return on investment of around 78 percent! The average cost of a window installation in the United States is a little more than $5,000, but the range is generally between $2,600 and $7,500. Let’s look at a hypothetical situation based on the national average cost of a window installation. Suppose that you spent $5,000 installing a new picture window in your living room along with several bigger awning and double-hung windows around your home (between five and 10 windows in total). If you sold your home in the next several years, then you should expect to recoup around $3,900 of your initial investment. This means that when everything is said and done, you’re only paying about $1,100 for your windows! Improved efficiency: Older windows often have cracks that allow air to flow in and out of your home. Many of these windows allow UV light to heat up your home as well, which makes your AC unit work harder to maintain a stable temperature. Better curb appeal: New windows can make an older home look stylish and contemporary, and if you’re selling your home, then you should be sure to showcase your gorgeous new windows in the listing! 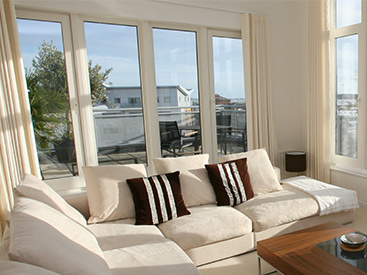 Higher home value: You’ve invested in brand new windows, and this means that you’ve increased the value of your home! Buyers will love knowing that they won’t have to replace the windows anytime in the near future, and your recent remodel will be a great selling point when you’re giving prospective buyers tours of the home. 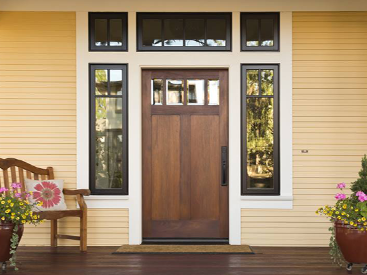 We hope that this post will motivate you to purchase the new windows you’ve been dreaming of. If you’re ready to get started, then get in touch with us to request a free estimate! We look forward to working with you soon.